Concentrating on your job while living away from your family is difficult and sometimes your family needs you while it may be facing problems. This is situation many young professionals find themselves in. Your work takes you places but also keeps you away from family. Often multinational organisations have an internal transfer policy to allow you to move to an office in the city of your choice. The reason for requesting a transfer can be any of the following. Its time you wrote your transfer request letter. Before writing the letter make sure you find out about your organisation’s transfer policies and would your transfer entail a change in job profile or change in teams. Following is a sample template for Location Transfer request letter for personal reasons. Hope you find this letter in good health. I am writing to you to request a transfer to our Mumbai office after the completion of the ongoing phase of our project by the end of September. As you know I am planning to get married by the end of this year and my spouse and family are well settled in Mumbai. I wish to initiate my personal transfer as per the company policy which allows relocation upon marriage. Since our team does not work out of the Mumbai office I understand that I will have to join the new project team in Mumbai. Please let me know to whom I should initiate the knowledge transfer sessions to take over my responsibilities. It was a wonderful experience working with this team and I have cherished memories here. But it’s time to devote quality time to my family. Kindly accept my transfer request and initiate my transfer formalities. Thank you and wish you the very best. Please let me know if any official information is required from my end to initiate the transfer. Also write a thank you letter to your manager on he/she approves the request. Have a look at some of the other business letters including application letters on this site. Congratulations on landing that great new job. Now that your new employer has formally made an offer of employment to you, it’s time you write a Job Acceptance Letter. An Acceptance letter is written to formally communicate your intent of accepting the offer or proposal to work you the new organisation. Usually employers require you to respond within a specified time period and also expect you to accept the terms of employment such as the compensation and job title formally. While you send your acceptance, it’s also important to let your employer know your tentative date of joining and whether you would require any relocation assistance to help you ease into your new role. And of course don’t forget to thank your hiring managers and the recruitment team for helping you through the process. Below is a sample job acceptance letter for your reference. Thank you for offering me the position of Senior Manager with First Info Technologies. I am writing this letter to formally accept the offer with respect to the offer letter dated <Offer Letter Date>. Kindly note that my current organisation requires me to serve a notice period of three months i.e. 90 days from the date of my resignation. Accordingly I shall be available to join First Info Technologies on any date after 02 Oct 2016. Kindly also share details of the relocation policy and allowance applicable for me. Please also share any other relevant joining related information relevant for me. Once again thank you for support during the recruitment process. Looking forward to join the team! Also write a thank you letter to your contact which helped you land this job. Have a look at some of the other business letters including application letters on this site. 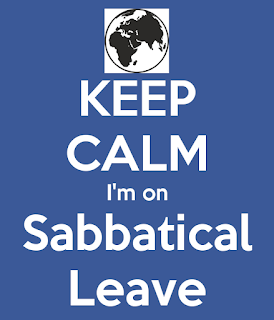 A Sabbatical leave is a temporary break from employment where you continue to be an employee of the organization but are moved out of the payroll. 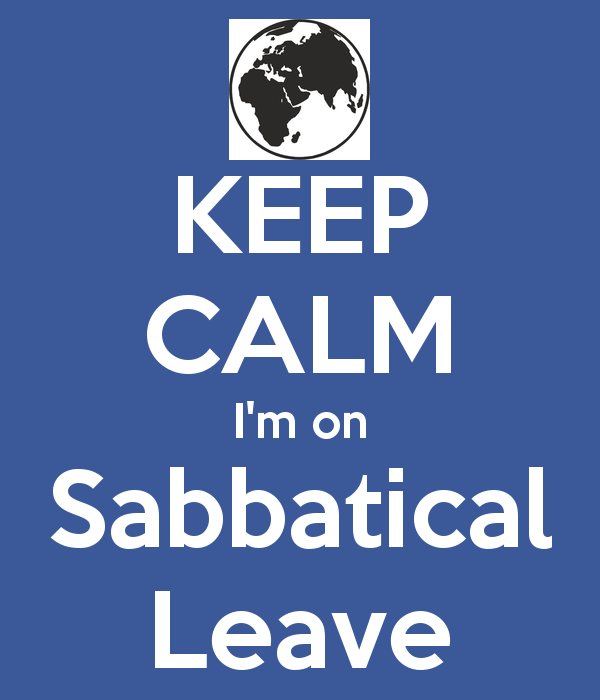 Many organization provide its employers an option to take a sabbatical leave for a duration ranging from anywhere between 2 weeks to a year. During this period you are not entitled to any benefits or compensation and nor can you represent your organization in any capacity. The period of sabbatical does not add up to your experience. Many professionals these days apply for a sabbatical leave to pursue an entrepreneurial venture, explore a hobby, travel or work for a social cause. You will have to simply put in your Application or a sabbatical leave in accordance with your organization’s policies. In India Teach of India is one such social initiative inviting young people to dedicate a year to educating children. Following is a sample application letter for sabbatical leave to pursue a social cause. I am writing this letter to request a one month sabbatical leave, beginning from 09 January 2016. My date of return will be 10 February 2017. As per my employment contract, I am giving one month prior notice and will do my best for smooth handover of my ongoing project. I am looking forward to use this time to work with social entrepreneurs at Aastha NGO network to apply my skills and knowledge for social service by enrolling into “Teach India” program. The program is aimed at teaching poor children. I am also looking forward to return with renewed inspiration and energy. Thank you for your support. Please do not hesitate contact me if you require further information. Also check out how to apply for a Maternity Leave. Whether you are applying for your dream job, making the next big career move or just applying for a fresh job just out of college, a job application letter will be your first communication and the first step in impressing your recruiter. A typical job application will have three main parts – your job application letter, your resume or a CV and a short cover letter describing your profile and suitability for the position. A professional job application letter is basically a persuasive letter which should convince the interviewer to give you an interview. So it should also contain a very brief description about your qualification or experience which will make you a good candidate for the role. Following is a sample application letter for a job of an administrative assistant, you can you this as a template to fill in details relevant to your purpose. I am writing to apply for the Administrative Assistant position advertised in The New York Times dated 10th December, 2015. As requested, I am enclosing a job application, my certification, my resume, and three references. The opportunity presented is very interesting, and I believe that my experience and education will make me a very competitive candidate for this position. I have been working as Administrative Assistant at Drake and Luby’s Incorporation for three years. I support three engineers plus the head of the department. I'm an expert level Excel and MS Project user. I prepare project plans, status reports, identify areas that are behind schedule. I also assist as necessary with scanning engineering drawings, the filing and proper coding of originals. Job applications are tricky so you should give a considerable time to write a good one. Also check out the Top 10 Must Haves on your Resume and Cover Letter. Help readers and aspirants like yourself by sharing your experiences in the comments section below and share this page on social media by using the links below. Often membership into many reputed social clubs, libraries or health and fitness gymnasiums is strictly on invitation and recommendation only. You may be asked to write a formal application letter to request membership to such clubs or libraries. While writing a membership application letter you have to mention your credentials and the nature of your relationship with the invitee or the person who recommended you for a membership while subtly express your desire to be a part of the club. Following is a sample club membership application letter which you can modify for library memberships, privilege banking account memberships, an application to open an account with a brokerage firm or for any practical purposes as you may like. I am writing this letter to request you for a membership in your club. I visited your club with my friend Mr. Henry Anderson who has been a member of your club for last three years. I was impressed with the ambiance, cleanliness and the facilities you provide. It was amazing to see the participation and by the end of the day I had made friends with many of the members. I was previously a member of your club’s branch in Miami and was an active participant in many activities. I request you to accept my request for membership to your club and involve me in your club's social activities. Some clubs may ask for a recommendation from an active member or a committee member. Do check out how your recommendation letters should look like here. Also don't forget to check out other business letter samples we have ready for you. It is no secret that a sure shot way to get an interview for that much coveted dream job is a strong resume. If one cannot nail the resume, whose sole purpose is to get you an interview, the said dream job is almost impossible to get! And thus I am sure many of you have wondered, as have I, about what it is that one definitely needs to have on their resumes to ensure a solid chance at an interview. As we all know, when it comes to anything related to careers or jobs, there is never enough advice and people are ever ready to get tips and tricks to help get that dream job. While the internet is full of a billion advice for you to nail the resume, here I am with just five simple pointers for an efficient resume. In a job market where there are so many applicants for one job vacancy, it is extremely critical that your resume is read and a resume that is difficult to read almost always remains unread. Thus it is extremely important that a resume is easy on the eyes. Here are a few tips to make sure your resume is easy to read. It is generally advised to use a block format for writing most applications. An efficient resume is one that can clearly communicate the position towards which it is targeted. Lack of focus in a resume results in the hiring manager not seeing the connection between your skills and qualifications and the requirement of the job. Thus a resume that has focus with clear indication of the experiences and accomplishments relevant to the position is a powerful one. It is advisable to remove anything that is not in line with one’s career goals or job requirement. Its best to support your resume with a targeted cover letter. Click here to find relevant cover letters for your application. Be it manually by hiring managers or through online applicant tracking software, resumes are often scanned quickly to select good, relevant resumes from a pile of many! So it’s always advisable to have a resume that is keyword rich. Keywords are small words which communicate important information about your resume. They help in ensuring your resume reflects both – skills required for the position and the skill you possess. Keywords are the best the way to ensure you survive the scanning process. A resume has a lot of information and so it is important that all this information is laid out in a way where experiences and skills relevant to the position are noticed first. Typically a hiring manager scans the resume for 8 to 10 seconds and so it is advisable to prioritize and highlight relevant skills and experience so that they can see that your accomplishments support the job requirements. It is also a good idea to start bullet points describing your accomplishments by describing the result achieved followed by how. Last but not the least, always get a second or third (preferably professional) opinion about the resume. 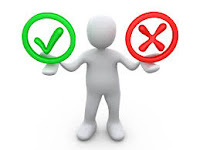 Other opinions are often unbiased and can point out issues in the resume that would otherwise go unnoticed by you. Professional opinions are the best since they know exactly what hiring managers look for in a resume and give direction and tips to make sure your resume gives you the maximum possible benefits and bags you that interview! I hope that helped. Stay tuned to this spot for more tips and tricks for an awesome resume! Apart from this what you write in your email or application letter to the HR enclosing your resume also makes a huge impact. We have loaded this website with lots of relevant content to help you job applications. And if you want to share something go ahead use the comment section below to help fellow job seekers.